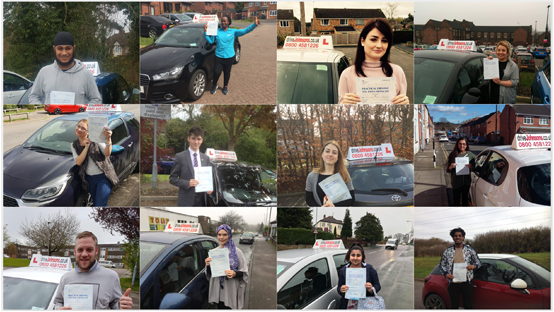 There's a reason why driveJohnson's has such a great reputation - every instructor is DBS checked and qualified to the highest level, ensuring learners are offered structured and enjoyable lessons. Each lesson will be customised to your driving standard, starting in quieter areas such as the leafy green Lister Park. Low Moor is also a fantastic place to get started in - offering roads such as Belmont Avenue, although it's a narrow road there is little traffic and it will give you the chance to practise clutch control and T-Junctions at the turn onto Wesley Avenue. Eventually moving on to tackle busier roads like the A6177 and the A658, you will cover absolutely everything there is to know when you take your lessons with driveJohnson's. You have 3 choices for test centres in Bradford to choose from, some offering sooner tests than others. with the first time pass rate for all three Bradford test centres averaging around 36-42%, compare that to our first time pass rate of 93.2%, it's a no brainer to use driveJohnson's. Pupils who have recently passed with us in Bradford.